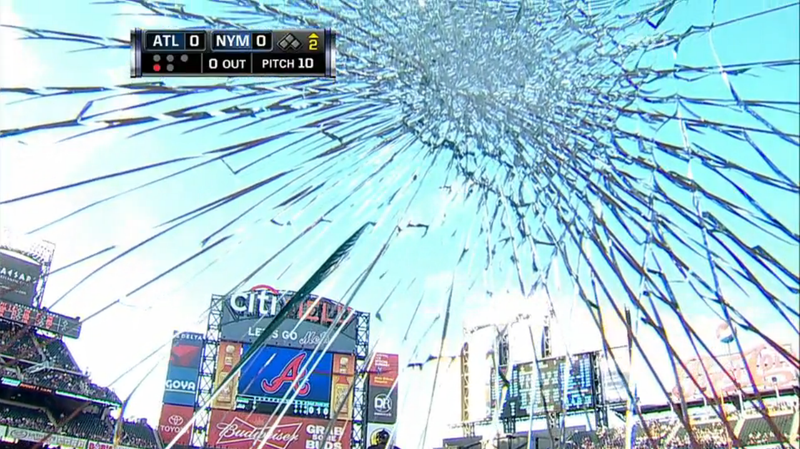 Freddie Freeman's foul tip smashed the plexiglass shielding a camera at Citi Field last night. We will never get tired of these. This has happened multiple times since the Mets installed an enclosed camera well behind the plate. The glass pane is strikingly large, allowing for almost a full range of motion for the camera—but the tradeoff is that it's a bigger target. Cheaper than a broken camera or cameraman, though.